Hello friends, as we savor the last hours of our weekend I wanted to share with you a book that I recently had the privilege to read. 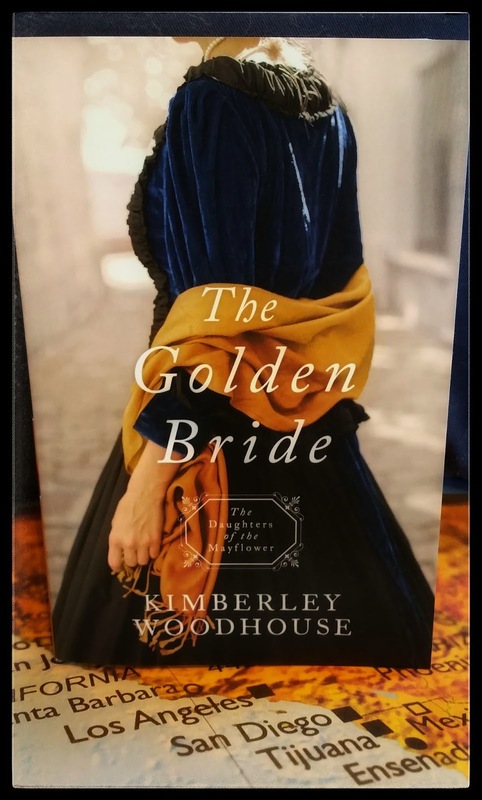 It has romance, suspense, and a dash of history. . .The Golden Bride by Kimberley Woodhouse. Recently widowed Olivia Brighton is beginning a new chapter in her life with the help of her brother Daniel. As she manages his San Francisco restaurant, her gold rush seeking patrons are less than clean in behavior and appearance. And this leaves Olivia with no desire to get to know any of them better. Joseph Sawyer is her brother's best friend when Olivia meets him, she's less than impressed, as his life centers around mining. Joseph is a politician as well, and as a result, we get a glimpse into the plight of forced labor occurring in crime-ridden San Francisco in 1849 which author Kimberly Woodhouse writes about with care and compassion. Do Olivia and Joseph find an irresistible attraction and a rush of love? Find out as you read this book and enjoy each wonderful page. 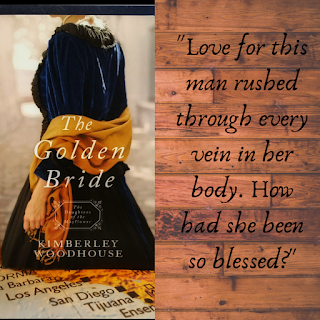 The Golden Bride is the 8th in the Daughters of the Mayflower series. It can be read as a stand-alone, but make sure to delve into the whole series, it's wonderful. I received this book from Barbour Publishing, the thoughts and opinions are solely my own. 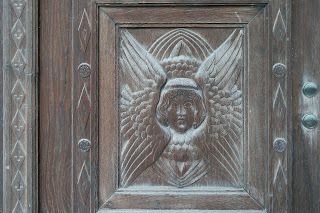 I was under no obligation to write a review. Happy reading friends, and have a wonderful day! What book has you captivated you recently? Kim is a devoted wife and mother, and a third generation Liszt student. She has passed down her love of music and the arts to hundreds of students over the years recorded three albums and appeared at over 2,000 venues. Her quick wit, enthusiasm, and positive outlook through difficult circumstances have gained her audiences at conferences, retreats, churches, military functions, and seminars all over the country. The Woodhouse family’s story has been on the front page of newspapers, in magazines, articles, medical journals, and most famously featured on ABC’s Extreme Makeover: Home Edition. They were also asked to share their story on The Montel Williams Show and Discovery Health Channel’s Mystery ERalong with hundreds of other TV appearances and radio interviews. Kim has been writing seriously for more than twenty years. Songs, plays, short stories, novels, picture books, articles, newsletters – you name it – she’s written it. It wasn’t until a dear friend challenged her to “do something with it” that she pursued publication. Now, she is a best-selling author of more than fifteen books, with more on the way. She is passionate about Bible study, reading, music, cooking, and pretty-much-all-things-crafty. Kimberley has been married to her incredible husband for a quarter-of-a-century-and-counting and they have two adult children. Hi Stacy, The Golden Bride sounds like a good story and I'm always looking for a new series to read. Thank you for posting such an interesting review. Lately I've enjoyed romance written by Irene Hannon. You're welcome, thank you for your nice words. Irene Hannon is another favorite author of mine. Happy reading! This sounds like a great book and I LOVE the cover! It's gorgeous! Hi Sherrinda! Thank you for stopping by. It was a fun book to read, full of history and romance. I love the cover too. Have a beautiful day!